In 2018, it might not seem that unusual that more and more people living in the suburbs are doing their bit to live more sustainably. For Nevin and Linda Sweeney, they’ve been living sustainably in their St Clair home for the past 35 years. 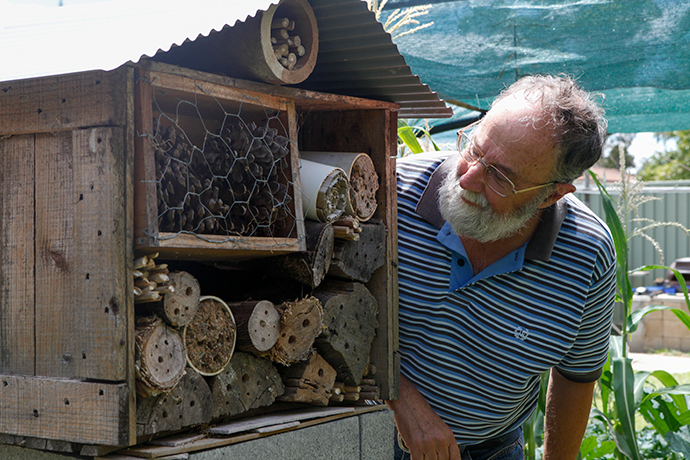 “A long tome ago, around the time we had kids, there was a lot of political unrest happening and I had responsibility for a family and I wanted to be able to feed them regardless of what happened,” Mr Sweeney said. 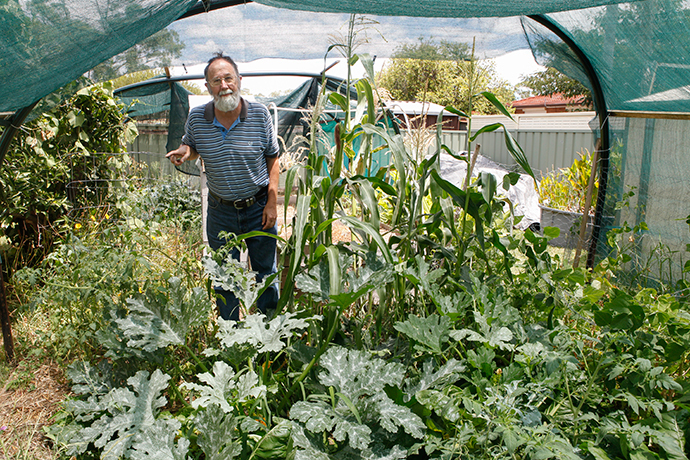 With 14 vegetable beds, herb wedding cake as well as a banana circle, Mr Sweeney produces 80 per cent of the vegetables that they eat, and thanks to his semi-off grid system, pays next to nothing for electricity. “We’re almost off the grid. 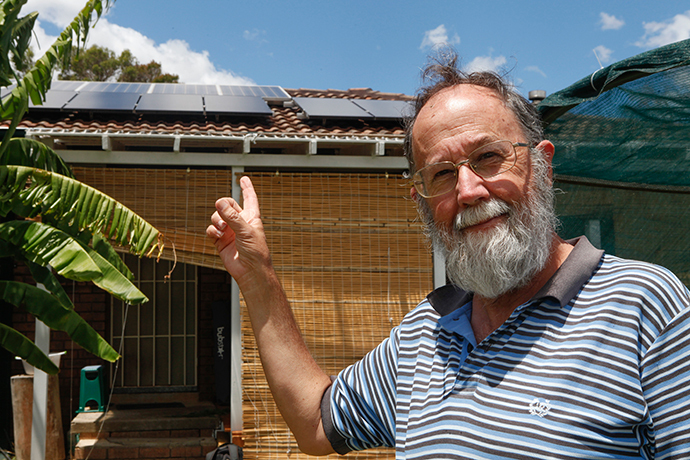 It’s just the fact that you’ve got to have a back-up and rather than have a huge generator, we use the grid,” he said. 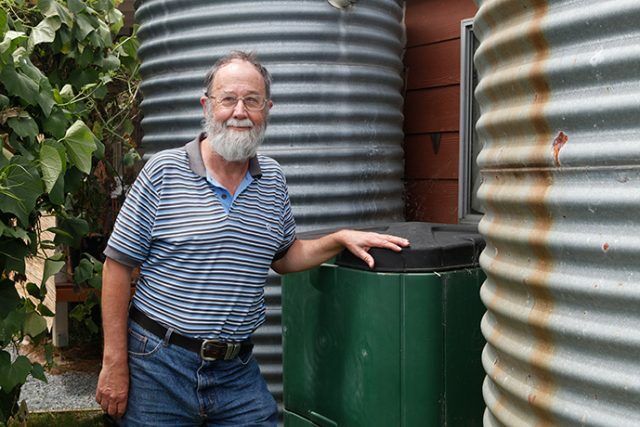 A member of the Penrith City Council Resilience Committee, Mr Sweeney said they are currently in the planning stages of generating resources to empower locals to grow more of their own food. “What we want to do is provide information to people so they can do this for themselves,” he said. Food Bank Australia’s latest report shows 48 per cent of Australians who are struggling to feed themselves were actually employed, with the higher cost of basic necessities found to be one of the causes driving people to food relief. The report also said that over 340,000 meals are expected to be needed for those affected in Penrith this year alone.